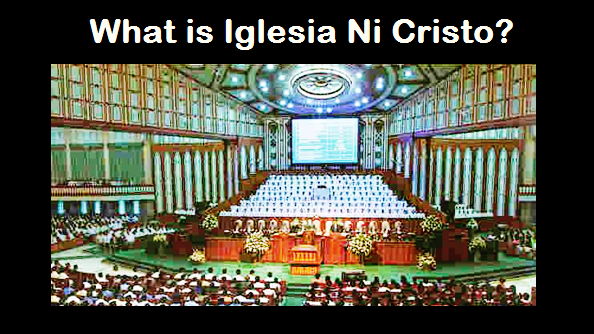 THE IGLESIA NI CRISTO: John 20:28 "My Lord and My God"
Why it should not be regarded as a statement of faith nor be considered as a strong biblical foundation of the alleged divinity of the Lord Jesus Christ? “1Now the first day of the week Mary Magdalene went to the tomb early, while it was still dark, and saw that the stone had been taken away from the tomb. The Lord Jesus Christ explicitly taught His disciples that the Father alone is the true God, and He is the messenger or whom the One True God have sent. Thus, to attain eternal life is to believe that the Father alone is the true God and that Jesus is sent by the One True God. Obviously, Thomas failed to remember these words of his Master. Thus, Thomas statement in John 20:28 contradicted what His Master has taught Him. “Then, the same day at evening, being the first day of the week, when the doors were shut where the disciples were assembled, for fear of the Jews, Jesus came and stood in the midst, and said to them, ‘Peace be with you.’ When He had said this, He showed them His hands and His side. Then the disciples were glad when they saw the Lord. Because the issue then was not regarding Jesus alleged divinity, but the resurrection of the Lord of Jesus. So, what Thomas doubted was the resurrection of Jesus, and this was what the Lord Jesus affirmed. Thus, after the Lord Jesus affirmed His resurrection, at this point, Thomas was not affirming his faith in the alleged deity of Jesus, but on latter’s resurrection. “And they were all filled with the Holy Spirit and began to speak with other tongues, as the Spirit gave them utterance. “But Peter, standing up with the eleven, raised his voice and said to them, "Men of Judea and all who dwell in Jerusalem, let this be known to you, and heed my words. Filled with Holy Spirit, Apostle Peter declared the Lord Jesus Christ is the “Servant of God.” Thus, the statement of Thomas recorded in John 20:28 did not only contradict the teachings of the Lord Jesus, but also the teachings of the other apostles. This proves that Thomas statement was incorrect, not only he forgotten the teaching of His Master, but also contradicted the Lord Jesus and the other apostles. Remember that when Thomas made the statement recorded in John 20:28 he was not in the act of preaching and he was from a state of unbelief, thus it is not surprising if he committed mistake. DID THE LORD JESUS CORRECT THOMAS FROM HIS MISTAKE? Both Mark and Luke reported this event when the Lord Jesus appeared to the “eleven” (Mark 16:13-14 and Luke 24:33-36). Thus, this was also the event reported by John in John 20:26-28, when Jesus appeared with the “eleven” (including Thomas). Luke made a much detailed report that Mark. In Luke’s report, when the Lord Jesus appeared to the “eleven,” they were terrified and frightened. Thus, it was not only Thomas who was terrified and frightened during that event, but even the other disciples. Think of the situation before Jesus showed Himself to them: the doors were shut when Jesus abruptly stood in their midst and summoned Thomas to come near to Him. What was Thomas' reaction? A reaction of unbelief and amazement. Is this kind of reaction something that is strange or unusual? No, because according to Luke, Thomas was not the only one caught perplexed but also the rest of his companions. Luke reported that when Jesus appeared abruptly in their midst while the “eleven” were gathered together, they were terrified and frightened. Take note that the Lord Jesus was speaking to the “eleven” (including Thomas); the “eleven” mistook Jesus for a spirit or mistook Him as “God” (thus not only Thomas but the other apostles also committed the mistake that they mistook Jesus as “God”); but Jesus rebuked them. What did Christ do when they mistook Him for a spirit? He showed them His hands and His feet and told them that a spirit has no flesh and bones (cf. Luke 24:38-39). Notice that before He showed His hands and feet, what did Christ tell them? “Why are ye troubled? And why do thoughts arise in your hearts?” (cf. Luke 24:38, KJV). Christ was clearly upbraiding them. Christ’s statements in Luke 24:39 is also tacitly teaching them that He is not God. Remember that prior to this event, The Lord Jesus Christ had earlier instructed the disciples about the nature of God. He taught them that God is a spirit (cf. John 4:24). The apostles mistook Him for a spirit which is tantamount to falsely thinking of Christ as having the same nature as God or being God Himself. Is this only an assumption? The very fact that Thomas stated to Jesus, “My Lord and my God!” serves as palpable evidence that they had indeed believed a mistaken identity of Jesus. But, Jesus immediately corrected their wrong conclusion concerning His nature. He emphasized to them that He is not a spirit (Luke 24:39), which is equivalent to saying that He is not God in His state of being.